The Oakland Athletics promote responsible drinking and positive fan behavior at Oakland Coliseum. 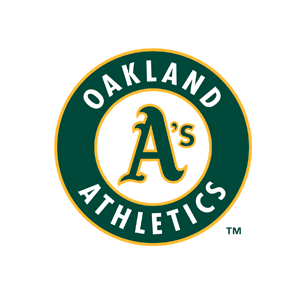 The Athletics Fan Code of Conduct and the details of the Athletics alcohol management plan that appear below ensure that fans have a safe and fun experience. The progress of the game will not be disrupted by guests’ actions or unauthorized persons entering the playing field. Guests will refrain from smoking in or near Oakland Coliseum. The stadium is a “Smoke Free” facility in accordance with O.M.C. 8.30.040. All types of smoking including e-cigarettes are prohibited on the property. To encourage guests to drink responsibly, anyone who has a valid driver’s license and is of legal drinking age (21 years old) is eligible for the Designated Driver Program. Guests should go to the Designated Driver booth located at Section 120, next to the ATM’s, from the time that the gates open through the end of the 2nd inning. After the 2nd inning guests can go to the Information Booth at Section 120 to sign up. Guests must sign a form to be a Designated Driver, and will receive a coupon for a free soft drink during the game. Designated Drivers promise not to consume any alcoholic beverages during the time they have committed to being a Designated Driver.